How Can You Have Hope When Someone Is Dying? I believe that there are three things required for sustaining life: oxygen, water and hope. The first two are pretty obvious; the third might surprise you, but it is nonetheless vital. To be without hope, to be literally hopeless, is a soul destroying place in which to reside. There can seem no purpose in continuing to exist and the future looks very bleak without hope. The good news about hope, however, is that it is totally subjective and is not static. So it can change depending on the particular circumstances at the time. For both a person who is dying and their loved ones, hope can take on a very different perspective when in the context of approaching death. Hope for recovery or cure may no longer be sustainable, but it can be reframed and transformed. Hope can change to now be on achieving something or time related. There might be things on the bucket list that now become the focus of hope. There might be a special occasion such as a wedding or an anniversary or Christmas etc that become the focus of hope. There might be the birth of a child to become the focus of hope – as it did for my Mum. She was determined to meet her first great-grandchild in this world and she did just that. Granted, he had to come a month early as well so it was possible, but it did happen. She died just under two weeks after holding him. I also don’t believe in false hope, because the individual with the hope still has hope. They may have some doubts around the hope and their hope may be the tiniest glimmer, yet hope still exists as a truth for that individual in their world. The people who use the term false hope are standing in judgement, external to someone else’s experience. So this work becomes about discovering and reframing hope in the context of what people are experiencing. It may be hope for a good death; for a death with minimal suffering; for creating precious memories to be treasured for eons. Hope for the dying may also relate to hope of seeing precious loved ones who have gone before. One of the questions I ask is, “What does a good day look like to you?” And then we work towards making that happen. 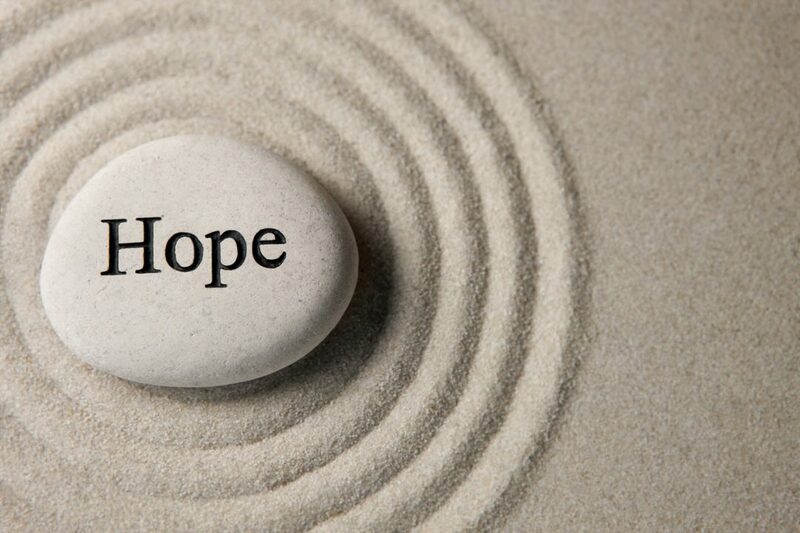 Hope is essential to sustaining life and it is up to each and every individual to define hope for themselves, relevant to their life and experiences. What does hope look like for you?